At the beginning of this year I found myself coming to the realisation that I needed to bite the bullet and actually get behind the camera. In all honesty I do find it a little bit uncomfortable (unless I’m drunk, but that’s another story), as the idea of posing in front of lots of people or a large space often makes me feel uneasy. Don’t worry I know what a lot of you are thinkin’, er Emma you’re a blogger? But you know what I’ve found in this blogger world, a LOT of people have this same issue-Praise the Lord it aint only me! Anyway back to my point…when I finally realised I needed to be behind the camera and posin’ it up, it came in the form of me stylin’ up and showing off my Asos trench i’d got for Christmas. Well, lo and behold people it’s only 9 months later and I’ve got a newen to show you! As we roll into the transitional period between Summer and Autumn, fashion stores are bringing out all their snuggly faves. From the knitted roll neck, knee length boots and lighter coats, we’re gettin’ set for the time in which we wrap up, eat lots(okay, maybe just me) and get SO excited for Christmas comin’. If you knew me personally, you’d know that I pretty much have a fetish(or maybe just love) for coats. Whether they be light, long, heavy, knitted or an anorak, I just can’t get enough. Their ability to change an outfit from night to day, season to season or just keep you warm and dry, well, I love em’! So, when I was browsing through Primark recently, I’d come across a lady trying on a emerald green lookin’ number and let’s just say I was obsessed. After frantically searching the store I was finally told by the Primark employee that the colour had sold out. GOD DAMIT. However, not being one to ignore an impulse purchase I tried on the second colour and instantly fell in love. So, nosy below to see my styling of my new (and favourite ) jacket which will see me right through Autumn and into the cold depths of Winter. HOORAY for Primark, you little beauty. -Unfortunately, Primark as you’ll know can’t be purchased online.BOOHOO. So, should you want this beauty, all I can suggest is to hit up your local shop! -Cranberry trench, Primark £25.00. Link to other trenches here. 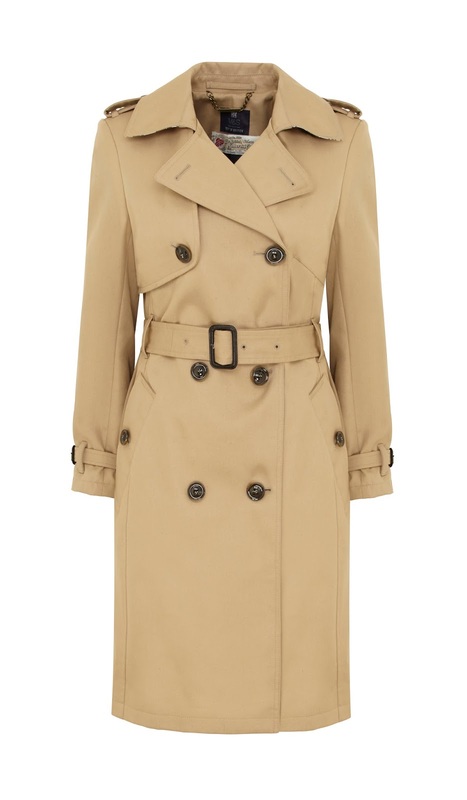 Or for those of you who love a classic trench and love to rock the detective look, then see this beauty below. What’s your favourite coat style? Love this colour, it looks great on you too. I've tried a few trench coats but they never seem to suit me, I might pop into Primark though and have a look!